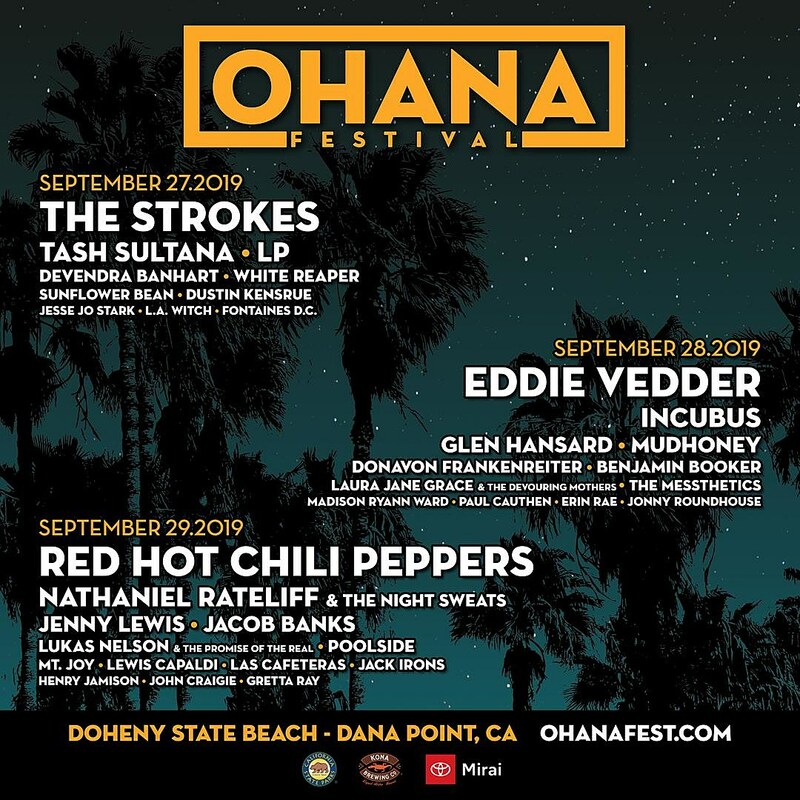 Ohana Festival returns to Doheny State Beach in Dana Point, CA from September 27-29, and this year’s headliners are veteran rock giants The Strokes, Red Hot Chili Peppers, and Pearl Jam’s Eddie Vedder. The lineup also includes Jenny Lewis, Devendra Banhart, Mudhoney, Nathaniel Rateliff & the Night Sweats, Laura Jane Grace & the Devouring Mothers, Glen Hansard, The Messthetics (mem Fugazi), White Reaper, Dustin Kensrue (of Thrice), Incubus, Benjamin Booker, Sunflower Bean, Fontaines DC, L.A. Witch, Erin Rae, and more. Tickets go on sale today (3/4) at 10 AM Pacific. Full lineup below.